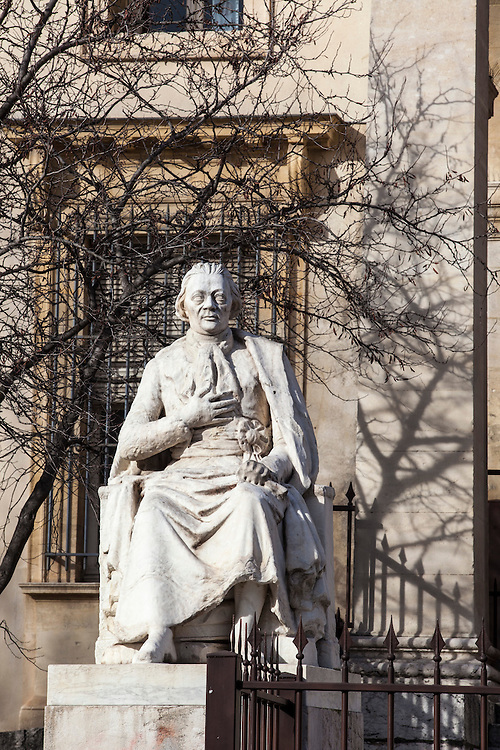 Statue in front of courthouse - Aix-en-Provence, France. The town also knows how to blend different eras and culture. Open to the world, it is a city of human dimension where the preserved heritage and the city of tomorrow blend perfectly.